Woodlands is a large, brand new, accessible lodge in the beautiful Derbyshire Peak District. 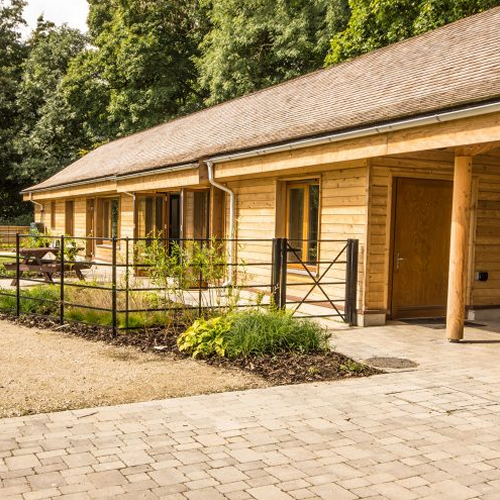 The team at Thornbridge Outdoors were keen to showcase to potential guests the amazing facilities that Woodlands has to offer in a way that would make it easy for them to assess its suitability for their needs and plan for their visit. The Thornbridge Outdoors team felt that an Accessibility Guide would be an ideal resource to achieve this. Working on-site at Woodlands, Access For All UK were able to photograph, measure and describe the facilities at first-hand, drawing on the Thornbridge team’s personal knowledge of the area when needed. The resulting Guide is an accurate and attractive tool which showcases the great facilities at Woodlands and enables potential visitors to review and understand its accessible offering.